While on the Passing Cloud we saw Humpback whales many times. This one was seen in Louscoone Inlet for about an hour – it was slapping its pectoral fins on the water surface for long periods, punctuated by the occasional dive and a couple of breaches. I could have sworn I posted these already, but I guess it was Tansy that posted it on her blog. 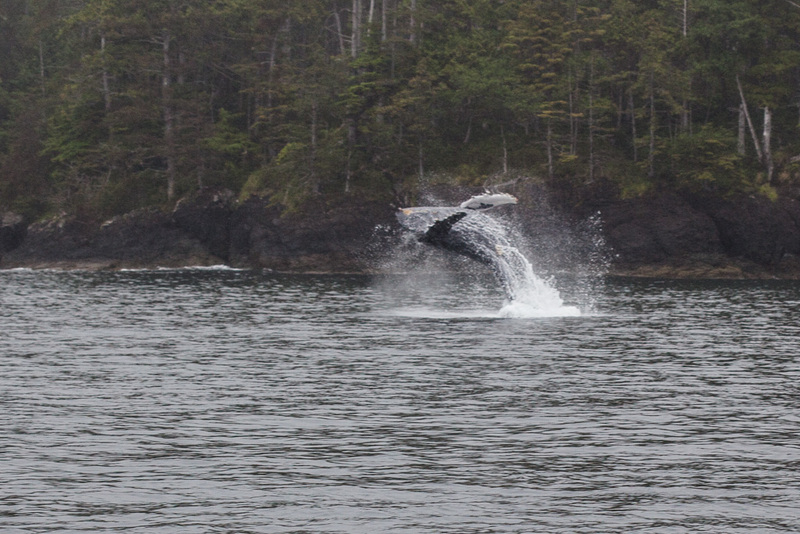 I post these shots for my English cousin Rachel who was on a cruise in the NE Pacific this summer and chose to watch a breaching humpback in stereo, rather than with one eye glued to the viewfinder, as she described on her blog yesterday. Which is why I was looking for these shots. Thank you Rachel – I am glad you like it. I too usually just watch them, but we hung out with this whale for nearly an hour and eventually I did a lot of watching through my longest lens (which is only 100mm, so I had to do some heavy cropping too, to seem like we were closer than we were). Great. So unusual to see a whale so close to shore. Hi Lou – we wondered about that. 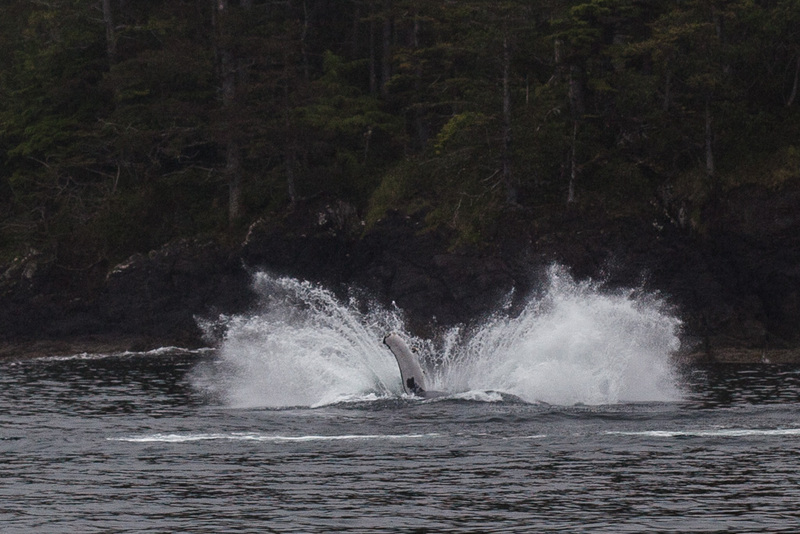 This whale spent 40 minutes slapping its pectoral fins on the water, with a few dives and a couple of breaches. A lot of the time it was just a few meters from the cliff – the water is very deep here, so no fear of grounding, but still curious behaviour as usually you only see a couple of slaps then they move on to other things.